We got a wakeup call last week, and in typical Uranian fashion, it wasn’t anything we could have predicted. What we know about Uranus is that the worst shakeups happen when we’re most in need of drastic change but resist, for whatever reason. Sometimes it’s because we’re so out of touch with what we really need that it never occurred to us to change anything. More often, though, there’s a voice just beneath the surface telling us that something has to give, but listening to that voice would require so much destabilization in our lives that we ignore it. Sometimes we even deliberately silence it. The knee-jerk reactions to the Sandy Hook school shooting were predictable. The religious right says we need prayer in schools and the right for citizens to defend themselves with guns. The liberal left says tragedies like this could be prevented with stricter gun-control laws. If there’s any light in the darkness of this horror, it’s that deeper discussions seem to be emerging into the mainstream that transcend the finger-pointing and politicization. What does it say about the level of dysfunction of our society that it took the execution of 6-year-olds to start waking up to a meaningful dialogue? As astrologers, we try to make broader sense of events. The usual method is to look at the chart for the event and the person responsible. Through newspaper reports, we learned that Adam Lanza, the shooter, was born on April 22, 1992, in Kingston, New Hampshire. We don’t have a birth time, but we can cast a chart for noon. First of all, neither chart conveys the horror of this event, nor is it an appropriate use of astrology to judge someone’s character based on their chart. Second, without a birth time, there’s too much missing to draw any real conclusions. 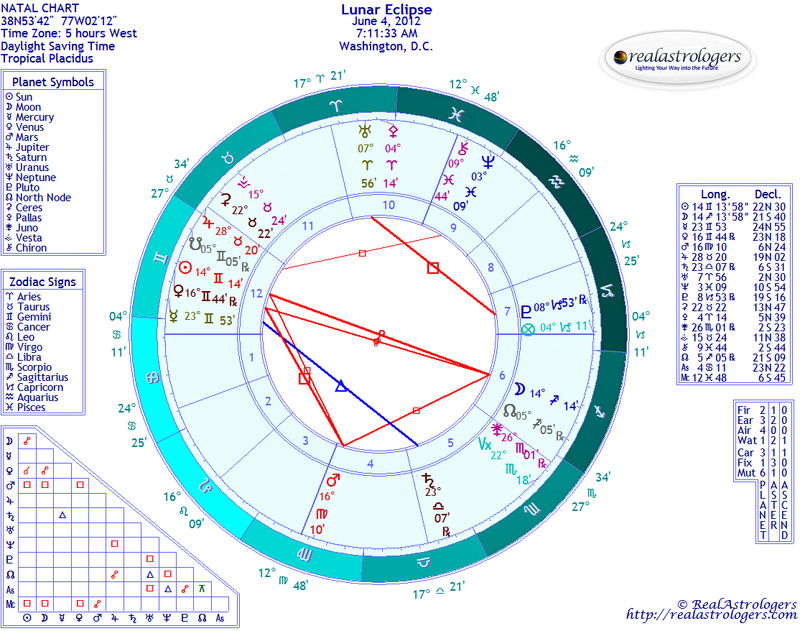 A noon chart for Adam gives him a Moon of 8 degrees Capricorn, making the first look at the chart startling, because transiting Pluto is at 8 degrees Capricorn. We need to stop right there and remember that the Moon travels through 12 degrees in a day. But then what if we had an accurate birth time of, say, 1 a.m.? That would put Pluto right on his Ascendant. Suddenly there would be pronouncements that he was having a bad Pluto transit. My point is that we need to take great care in not making charts fit events or people. Sometimes there is no immediate explanation in the chart – just as there is no immediate explanation for how something like this could have happened in the first place. Now, I suspect that if we had an exact birth time, we might be able to dig a little deeper and find some clues. But even then, we have to remember that we are not slaves to our natal chart. We also have to keep in mind that when we are in the midst of radical, outer-planetary cycles such as the Uranus-Pluto square, events correlating to this signature can happen at any time. Uranus came out of retrograde the day before the shooting. In my mind, this is significant, and it’s why I see this tragedy as a harsh wake-up call. Those using the event to promote a political ideology are still sleeping. We’re so far beyond that point, it’s frightening. I think not only of the 20 children murdered at Sandy Hook, but all of the children in the world killed, maimed, and emotionally traumatized daily by war and violence. The recent bombing of Gaza – an act publicly supported by President Obama – resulted in the reported deaths of 167 people, including 35 children. The AP photo of Jihad Misharawi holding the body of his dead baby, killed in an Israeli airstrike, is indelibly burned in my memory. With Neptune in Pisces, the drug issue will come to the fore. Neptune rules drugs and all mind-altering substances, and he’s in his element in the Fishes. The twelfth house, ruled by Neptune (in modern astrology), rules mental hospitals and prisons, so these issues also are going to be more prominent. In the meantime, society is going through an extreme breakdown under the Uranus-Pluto square. I was just reading about a rash of mass murders of school children in China over the past two years. A Chinese newspaper quoted an expert – ironically, an American college professor – who attributed the attacks to stress caused by rapid social change, increasing disparities in wealth, and lack of treatment for the mentally ill.
We have another three years of Uranus and Pluto, so it might be a good idea to start paying attention to real issues and not throwing up smoke screens of gun control and school prayer. We also need to take a hard look at our own lives and make an honest assessment of what we need to change. The subject of sweeping change is all the more poignant this week as we approach the supposed end of the world on Friday. Now, frankly, I’d be happy to end the world “as we know it.” There’s way too much suffering, and our problems seem so insurmountable as to be impossible. But the world will continue, and we’re going to have to change. On Monday, Mercury opposes Jupiter, in mutual reception. I’m hopeful this will have some relation to negotiations between Congress and the White House to avoid going over the so-called “fiscal cliff.” I am pretty sure, though, given what I see in the charts, that we are going to have some cutbacks. How much and for whom remains to be seen. On Wednesday, Venus in Sagittarius trines Uranus. Parties will be more subdued this year – I wrote that in last week’s forecast, and it’s even more true this week – but parties will happen nonetheless. We need an outlet from all the grief and sorrow, even if it’s only temporary. Still, the grief won’t be far from our minds, with Venus squaring Chiron on Thursday. The Sun enters Capricorn on Friday, the winter solstice in the Northern Hemisphere. He immediately forms a happy sextile with Neptune in Pisces. This suggests to me that there might be a brief sign of hope for peace on earth – especially next summer, when Jupiter, Saturn, and Neptune form a grand trine. Speaking of the Big Guy, Jupiter forms a quincunx with Pluto on Thursday and with Saturn on Saturday – the Yod that I don’t put a whole lot of stock in. More importantly, Saturn and Pluto are in sextile and mutual reception, suggesting that breakdowns will happen faster in order for new, more sustainable structures to emerge. Yes, that may mean we don’t get everything we want for Christmas. But, as the old Rolling Stones song goes, we may get what we need. This entry was posted in Forecasts and tagged 2012, mayan calendar, Neptune in Pisces, Sun in Capricorn, Uranus-Pluto square on December 16, 2012 by Pat. How can you find your Soul? Go seek. Like Sagittarius, become the “seeker of truth.” Go within. Begin to meditate, and if you do so already, go deeper. Keep asking, “Who am I, really?” Keep searching for your Self. Everything you need is already within you. If you are chasing after something outside of you, you are missing the target. You need to change your focus. The total eclipse of the Full Moon in Sagittarius on June 15 brought us a powerful opportunity to make a 180º shift in direction, if we need to, in order to align our energies correctly for our highest and best spiritual growth. Once we have focused on our target, the power can come through to hit where it is needed, opening us up to greater experiences of love-wisdom. On June 21, the Sun entered Cancer, the Summer Solstice, the peak of the Solar power. Summer Solstice is known as the “Triumph of Light.” It is the point in the year when the Sun’s power is at its peak and, in the Northern Hemisphere, the days are at their longest. It is a time of vitality – the life-force energy is at its strongest, and it is a time of ripening. But the harvest is yet to come. Summer Solstice happens when the Sun enters Cancer – the sign of mass consciousness and emotional intelligence. During this ripening, we have the opportunity for our unevolved, immature emotions to ripen into Divine Compassion and Unconditional Love. For this to happen we need wisdom, clear focus, and maturity. After using the power of Gemini-Sagittarius to focus our attention within, the first guide we will meet on our inner journey will be our own emotions. The first territory that we will have to navigate will be our own emotional “jungle.” For this reason, Cancer is also the sign of compassion. (HH Dalai Lama has Sun and Moon in Cancer and, according to some astrologers, he also has Cancer Ascendant). The Divine Intelligence, or Angel, of Cancer steps in at the perfect moment – just when we need the highest compassion of all, compassion for ourselves. Your heart is the gateway to your Soul. No one has ever had a full Soul awakening without passing through their heart-center. In order to deal with the harsh realities of this world, unfortunately many of us close off our hearts and become hardened. From this isolated state of separation, we become numb to our own pain and that of others. As we begin our conscious journey within to seek our very Soul, the first terrain to navigate is the path of the heart. Cancer brings feeling. When we attune to the energies of Cancer, we feel mass consciousness. Our capacity for sensing, for intuition, begins to awaken. We start to feel. We feel our connectedness, we feel our own wounds and those of others. Eventually this brings empathy and huge compassion. We have another partial Solar Eclipse of the New Moon in Cancer on July 1 (echoing the partial Solar Eclipse we experienced on June 1 in Gemini). Solar and Lunar eclipses get our attention. They are a heads-up that something big is happening that requires our full attention. Eclipses let us know the import of these times: that major shifts are occurring and we are invited to open ourselves up to receiving the benefits being offered. This is a time of birthing and re-birthing. During the coming months, we will have the Angel of Cancer, the Divine Feminine energy of Mother and nurturing, walking us compassionately through July into August, when the Angel of Leo will meet us and lead us into the very heart of the jungle: heart-centered awareness. The courage of Leo will also be there when needed as we remain focused on our path. The twelve Zodiac Angels are always with us. They walk with us through these times and are available to guide us into the highest octave of each sign. So the Angel of Cancer doesn’t step aside while Leo takes over. All of our guides remain with us and can be called upon at any time, but each one steps into the lead as we pass through their territory, the very area where they are most able to give us guidance. Even with all the great potential available, it is still possible for us to miss the point! This is the message of Sagittarius, the Archer. We have to choose where we place our attention, choose the target, and focus our Divine energy. It all boils down to this: will we place our attention on all the fear-based distractions of the outer world, or will we develop the skill, capacity and compassion to hold our attention steadily on our inner world and walk the compassionate path of love-wisdom through these challenging times? Will you hold your focus steady, like the Archer, until June 2012 and experience a Cosmic Heart Opening? Or will you allow yourself to be distracted and miss? The choice is yours. This entry was posted in Guest Posts and tagged 2012, Cancer, Lunar Eclipse in Sagittarius, soul astrology, Venus transits on June 22, 2011 by Pat. A stellar nursery in the Carina Nebula. 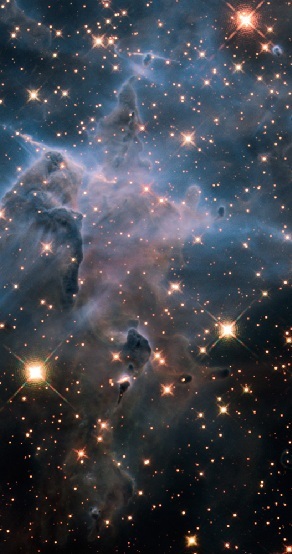 Image from the Hubble Space Telescope, courtesy NASA, ESA, and M. Livio and the Hubble 20th Anniversary Team. “The end is nigh…” as the soothsayer would say! But the end of what? It could well be the end of all suffering, for this is also the dawning of the Age of Aquarius where “Peace shall guide the planets, and Love will steer the stars,” as the song said. Apocalypse is the word often used to describe the “end of days,” but, leaving Hollywood-style disaster movies aside, what does this actually mean? The word apocalypse means “lifting the veil,” or revelation of truth. So what “truth” will be revealed? The ultimate truth: the truth of our being, our true power and our own true nature. Is there anything in Esoteric Astrology that could hint at 2012 as heralding an apocalyptic Age of Truth and Revelation? There could be … especially if we look at the esoteric rulers of the signs and planets. The Soul purpose of Gemini is directly linked to resolving the duality between the head and the heart, bridging the gap, and accessing the heart-mind. This is a powerful opportunity for a global heart-opening, and astrologically could be the biggest event of the year in terms of human experience and spiritual awakening. Whatever happens during this period, it is important not to get caught up in fear, but to stay focused on the highest love for one another and for all Beings. This is the message of the Gemini Soul: the power of transpersonal love. During this time, there will be waves of high energy flooding our planet that will be detectable by those who are perceptive enough. It is important to remember that even if you can’t feel it, you’ll still be in the energy. Stay focused on your Heart Center, and be open. There is certainly enormous potential to experience deep heart-centered connection. Mercury, Gemini’s personality ruler, is also associated with the development of the “Antahkarana”’ or “Rainbow Bridge,” which, once fully formed, allows access to higher consciousness and higher mind. With these major influences and energies around, there is indeed the potential for another big shift in awareness on the planet on the scale of a quantum leap as the human population shifts from lower mind and ego-centeredness to Higher Mind and Heart-Centeredness. Will we all experience Divine Bliss and a “Summer of Love” in 2012? Not necessarily, although that could definitely be an experience for many. During past Venus transits, there has also been a history of turbulence and strife. This makes sense from an energetic perspective; in such high-vibrational environments, that which is not Love will come up for healing. For many, it will be a purification in the sense that all our undealt-with personal demons may surface. If we are unable to face our own shadow with love, we can expect it will not be a smooth ride, but if we are able to accept all our imperfections and bring them into our hearts, there is huge potential for healing. Typical of Gemini, this could very well be a dualistic experience, with many being swept along by mass consciousness, mob-rule, increasing rebellion, rioting, and violence, while those who have been pursuing their own individual spiritual path may find it to be a time of greater heart-opening and deepening of compassion. It is more important than ever, during the coming years, to follow your own heart and not be swept along by mass consciousness. The power of the heart has been underestimated throughout human history. The power of Love has been thought of as a woo-woo idea, not to be taken seriously. Yet as we approach these turbulent times, it is precisely the power of Love that could be our saving grace. Researchers discovered that when a major event affects human emotions on a worldwide scale, such as 9/11 or the death of Princess Diana, this actually changed the magnetic field of our planet.2 They discovered the power of the human heart to change the world. From this information, the Global Coherence Initiative  was founded, to teach us how to “harmonize”’ our heart-waves and bring positive change to the world. Are you hearing echoes of that song again: … and Love will steer the stars? What if we are only just discovering the tip of the iceberg in terms of the power of love? What if pure, focused, directed heart-energy really does have the power to “steer the stars?” As we move into an era of conscious choice and evolution, it is not beyond the realm of possibility that we actually do steer our own destiny, so indeed why not the stars? What we think and feel matters. Where we choose to focus our attention and how we choose to flow our energy at this critical juncture is highly significant. Then maybe any potential apocalyptic disasters could be averted by our coming together in heart coherence, stabilizing the weather and climate on this planet. The very fact that we are discovering our own heart power now, at this point in our evolution, could be an early indicator of what we may expect during the coming Aquarian Age of Revelation. 1. Esoteric Astrology, by Alice Bailey. 2. Researchers at the HeartMath Institute discovered what they call the “heart-brain,” cells in the human heart that are very similar to brain cells. They also found that in terms of generating power, the heart is much more powerful than the brain. This entry was posted in About astrology, Guest Posts and tagged 2012, Age of Aquarius, Alice Bailey, Gemini, soul astrology, Venus transits on March 16, 2011 by Pat. Ask Real Astrologers: Is 2012 Really Going to Happen? I know you get this a lot, but do you really think that 2012 will happen? People said it a million times before and they say we should believe them. Should we? Yes, Bucky, 2012 will happen … right after December 31, 2011. After that, 2013 and 2014 will happen. OK, sorry for being a smartass, especially with a young person. But what the heck, if you can’t be a smartass with a young person, who can you be one with? I assume that what you really meant to ask is whether I think all of the dire predictions for 2012 are going to happen. That’s actually a very good question and one I get from people of all ages who are rightfully concerned, given all the hype. My answer is definitely no. I can’t tell you who you should and shouldn’t believe, but I don’t buy any of the end-of-the-world, wrath-of-God-stuff. The 2012 predictions are based on the calendar devised by the ancient Maya, who were exceptional mathematicians. It might surprise some people to hear that the Mayan Calendar does not say that the world is going to end in 2012. That date simply is the end of the cycle for which they calculated the calendar. The notion that it signifies the end of the world was proposed by several researchers of Mayan culture. Incidentally, they don’t even all agree on the end date. That’s not to say that we aren’t living in interesting times and that 2011 and 2012 won’t be historic years. Events in 2010 already have a lot of people shaken up. I attribute these events to the cardinal T-square. It peaked over the summer, but it was so powerful that we felt it before and afterward. It was recently triggered by Mercury and Mars and will continue to reverberate into the material world. There will be another cardinal T-square in 2011, although it will be different than this year’s in many ways. I did a preliminary article on it last year but will have more as we approach significant dates. The T-square will be dissipated by 2012, but other cosmological forces will be in effect that will make it a landmark year in human history. Among other things, we’ll experience a rare Venus transit. When Venus and the Sun are exactly aligned, they will be on the Descendant in Washington, D.C., and Venus also will be in the seventh house of the birth chart for the United States (Sibly). This is a bit worrisome, as the seventh house rules enemies in mundane astrology, and the Mayans associated Venus with war. Also, Uranus will begin an exact square with Pluto in 2012. We got close during this year’s cardinal T-square, but Uranus never quite caught up to the degree of Pluto. This square corresponds to extreme political unrest, and my guess is that the protests will be about basic survival – in other words, a class war. This unrest will continue well into 2014 and could be quite violent at times. If you’d like to explore this topic further, I recommend Alison Chester Lambert’s book, The Future in the Stars: The Astrological Message for 2012 and Beyond (there’s a hint for you), and also a documentary film, 2012: Science or Superstition. 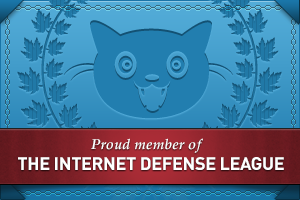 I reviewed both of those items and found them very sane and informative. Thanks for writing, Bucky. I’m gratified to see that people your age are asking about serious topics like this and that you’re taking the time to find reliable information. You’ve got it right. This entry was posted in About astrology, Forecasts and tagged 2012, cardinal T-square, Uranus-Pluto square, Venus transits on December 24, 2010 by Pat. Ask Our Readers: What Will Happen in 2012? This week, we enter Day Six of the Mayan calendar. There are only two more “days” and one “night” left before the Mayan calendar ends in 2012. So we decided to ask our readers about your views on 2012. My interest in the Mayan calendar and 2012 has only been piqued recently and I really don’t know that much about it. However I tend to believe on the whole change comes incrementally where human kind is concerned baring catastrophic events and even those tend to affect a relatively small geographic area. I’m going to take a “wait and see” position for now. Pluto moving into Capricorn later this month is what has my attention! Please add your thoughts about this! This entry was posted in General Musing, Weekly Astrology Poll and tagged 2012, Day Six, mayan calendar on November 12, 2008 by Pat.